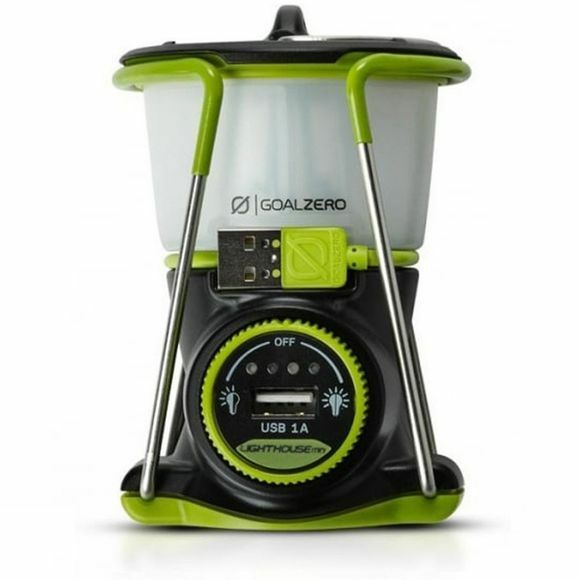 The Lighthouse Mini Lantern from Goal Zero, is the perfect accessory for anyone looking for a light but also wants the ability to charge their devices. With its adjustable brightness and direction, you can get up to 500 hours of light. 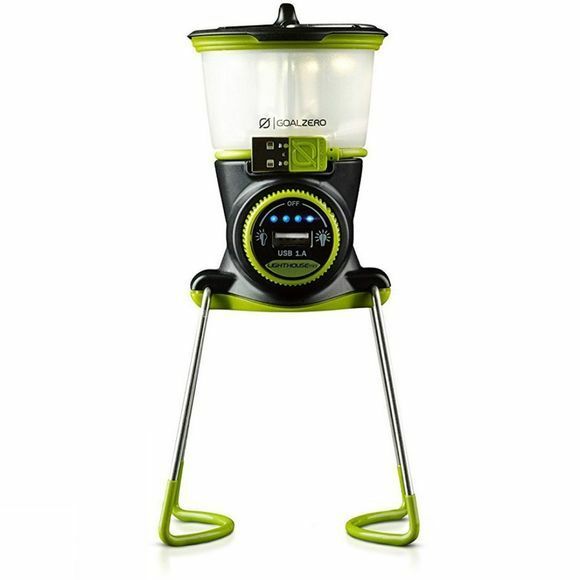 Foldable legs offer maximum light and the built-in hook and magnets allow you to place the device in a wide variety of locations, such as on the camp table while you play cards or in the tent while you read. With its built-in rechargeable battery, you can use it anywhere and it also offers the ability to recharge devices at the same time. You can recharge it using either a compatible solar panel or from the mains with the built-in USB charging cable. You can even swap the battery with a spare one if needed.